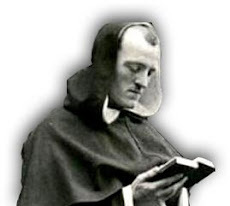 Most of Distributism’s critics consider it as a form of Socialism. 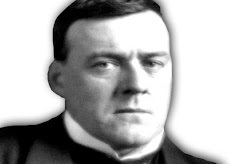 They point to the fact that both Chesterton and Belloc started as Socialists, and that is where their command of the facts comes to an end. 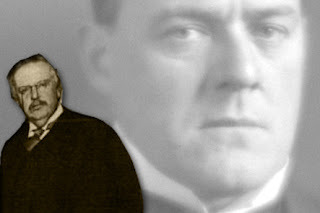 Both Chesterton and Belloc clearly pulled away from the dark path of Socialism, and openly attacked it. But they never ceased their assault on Capitalism. So, in the minds of certain defenders of Capitalism, Distributism must still be Socialism. Why do people insist on misunderstanding what we support and oppose? Why do folks believe we are against a “market economy”? It is because we have been indoctrinated in the belief that a “market economy” and a “capitalist economy” are one and the same. A market economy has been with us ever since civilization began. The buying and selling of goods, trade across borders, barter and exchange and competition among rivals are part and parcel of a society’s life. From the days of ancient Babylon to our computerized age, the ebb and flow of production and commerce goes on like the tide and the seasons. After the coming of Christ and the spread of His Church into European society, the laws and life of commerce gradually became more humane, and the greed of the powerful was mostly held in check. In western and central Europe during the High Middle Ages, as Belloc notes in his classic book, The Servile State, the guilds regulated the markets and the crafts, while the Crown kept tabs on financial and legal matters. High quality of goods and services were protected and preserved, competition was allowed to flourish, but within certain boundaries. And under-girding all was the authority of the Church, vigilant in defending God-given rights and the good of souls in both government and marketplace. But between the late Renaissance and the birth of the Protestant Reformation, all that began to change and for the worse. The Church found its authority weakened due to internal corruption and heresy, and a Protestant legal system ushered in by John Calvin enabled the kings and princes of northern Europe to seize the Church’s lands and enrich the powerful few. Usury, no longer condemned as a sin, became the legal norm, and the wise prohibitions against usury that once protected the lower classes were tossed aside as if they were filthy rags. Bankers and wealthy merchants took advantage of the chaotic times to worsen the lot of the workers, farmers and craftsmen. As the centuries plodded on, the ancient restraints on the market and finance crumbled away. With the advent of the Industrial Revolution, the poor and the farmers were fed into the factories, working themselves into their graves. Such abuses were the stuff of Charles Dickens’ fiction that was clearly based on fact, since he himself was forced to work as a boy in such a factory. He wrote eloquently and heart-breakingly of those black years and the poverty and shame. It was the mystical dogma of (Jeremy) Bentham and Adam Smith and the rest, that some of the worst of human passions would turn out to be all for the best. It was the mysterious doctrine that selfishness would do the work of unselfishness. Such abuses and turmoil brought forth moral revulsion, which emerged in the reaction of Socialism. But since, like Capitalism, it believed in centralization of economic and political power, the cure it promoted for the ills it protested was worse than the disease. And since, like Capitalism, it had a materialistic core, it saw the religious and spiritual as a dangerous drug for the masses, an “opiate of the people” as the foul Karl Marx put it. Neither system prizes the common man owning his own means of earning a living, not depending on a wage paid either by big government or big business. Our society is so abnormal that the normal man never dreams of having the normal occupation of looking after his own property. When he chooses a trade, he chooses one of the ten thousand trades that involve looking after other people's property. In Distributism, productive property is owned by the many, rather than the few. In practical terms, it means small business, co-operatives and worker-owned and managed businesses run the day-to-day workings of commerce. Big businesses are encouraged by government to break up into smaller, independent units. Government, in turn, is reduced in size and scale, with local government handling most of the responsibility thus eliminating the need for overregulation and reducing the size and scope of government, as well as the demand on taxpayers. Hence, a true market-based economy arises, one not plagued by the lust for dominance that infests both Capitalism and Socialism. 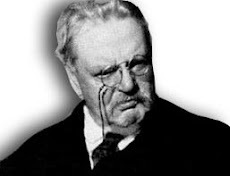 Chesterton knew that the word Distributism sounds suspicious to the ear. He admitted it so, saying it was “awkward but accurate”. And we are waiting for a better name. But in the meantime, better to be accurate and awkward than to be false and flowing.